Back in the good old days, there dwelt in Finnish households guardian spirits known as elves. Each type of building had its own sort of elf. There were household elves, sauna elves, stable elves, storehouse elves, barn elves and mill elves. When treated with respect, they brought good fortune to home and hearth; but if they took offence, there was no predicting the consequences. Though all held in common the habit of moving about only after nightfall, individual elves were sometimes notorious for their eccentricities. This book is the culmination of many years of painstaking research. 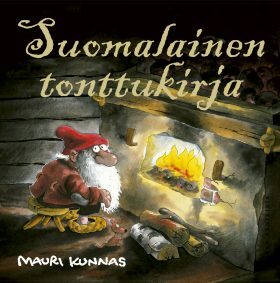 Its fun and fascinating tales recall not only the most common types of Finnish elves, but also rare varieties such as the fiddler elf. The engagingly homespun and fairytale-like illustrations are certain to spark the imagination.